Twenty five years ago in my native Philippines, I was leaping about hugging strangers in the street just like the Egyptians on TV. This was after news of the departure of Ferdinand Marcos - our president of 21 years (and most of my childhood) before he was overthrown during the People Power revolution. Now the 1980s pop vibe might strike some as cheesy but I personally can't hear this without getting a lump in my throat. See the tanks in the streets? I was there. See the crowds? I was one of them. 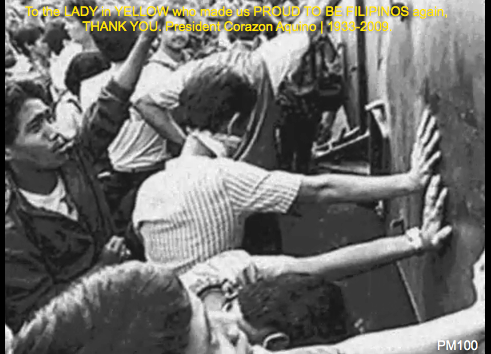 See the people, fists raised, marching alongside the bier of murdered opposition leader Ninoy Aquino? I was there too. I was there, but so were a couple of MILLION fellow Filipinos. All marvelling that by the sheer force of our presence, we managed to boot out a man who ran roughshod over our country for two decades. And yet what do I remember? 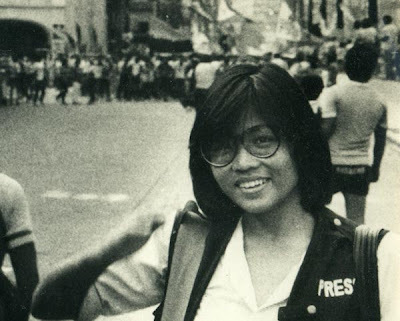 Recently, my friend Elizabeth Pisani wrote about the unreliability of memory - she and various journalist colleagues were trying to square their experiences of the Tiananmen Square massacre. If you have the time, do read her well-written piece (published in Granta) - it will make you think. 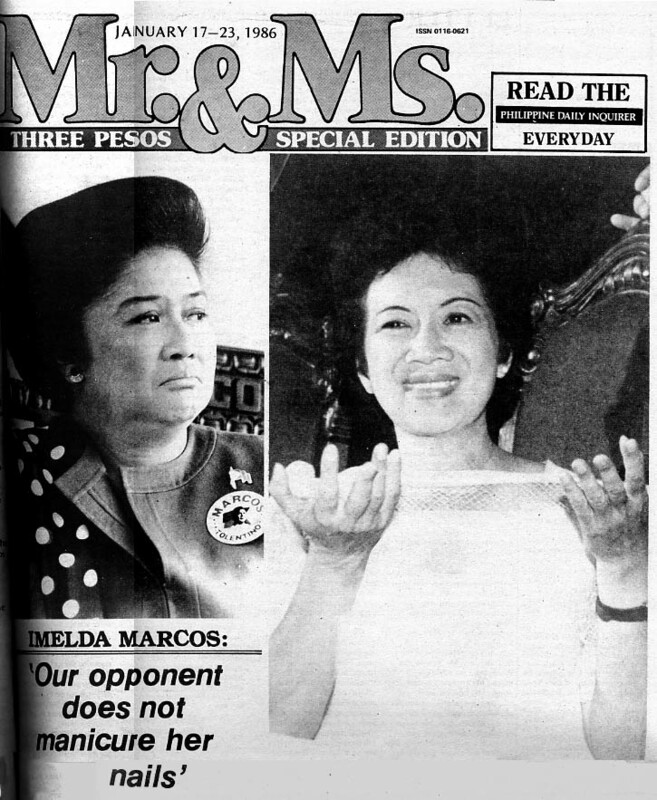 The Special Edition reported everything that the Marcos-controlled broadsheets didn't and took every opportunity to swipe at the conjugal dictatorship of Marcos and Imelda. I was young, naive and having a great time, learning my trade in the tumultuous run-up to the revolution. I got to travel around the country meeting extraordinary people, seeing extraordinary things and writing about them. As opposition to Marcos revved up, we'd go out, get tear-gassed/water-cannoned at an anti-government rally, write it up and make it to Bunchums, a bar in the financial district, in time for discounted Kahluas at happy hour. Fun was had by all. It took a murder for me to wake up to how serious the situation was. 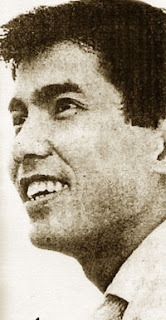 I'd travelled a few times to the island constituency of a young opposition politician named Evelio Javier, an idealist given to quoting Thomas More. Evelio was gunned down by Marcos supporters soon after news that votes from his province had gone to the opposition. He was only 29. After the news of Evelio's murder, I remember weeping in our deserted office, shocked and scared. The columnist Larry Henares walked in. He patted me awkwardly on the shoulder and said, "It will be fine. Things have to get better." But of course it had to get worse first. The snap elections were stolen. Literally. Masked men with guns. Ballot boxes snatched and stuffed with dummy votes. What do I remember? I was in a voting precinct - a school in Guadalupe Nuevo - when goons barged in, grabbing ballot boxes, throwing chairs at people who attempted pursuit. I remember following the men to a nearby office where they slammed the door in my face. But someone had put his foot in the door. It was one of the foreign correspondents - "Let me in," he said in an impressive British accent reminiscent of all the English baddies I ever saw in the movies - and he pushed and they pushed and he pushed and they pushed until thankfully they managed to shut the door. I don't think winning that pushing match would have been a good idea. Those men were armed. Little did I know that the foreign correspondent was my future husband. 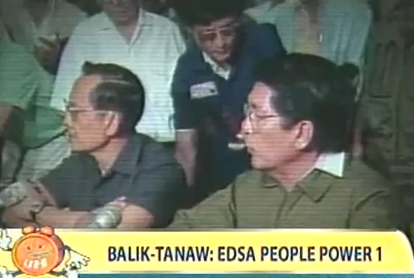 Then the chief of the Armed Forces and the Defence Secretary called a press conference to withdraw their support for Marcos. They barricaded themselves in a military camp just ten minutes up the road from my mother's home in Cubao. I found myself in the camp which was crawling with foreign correspondents, TV crews, photographers and other reporters. 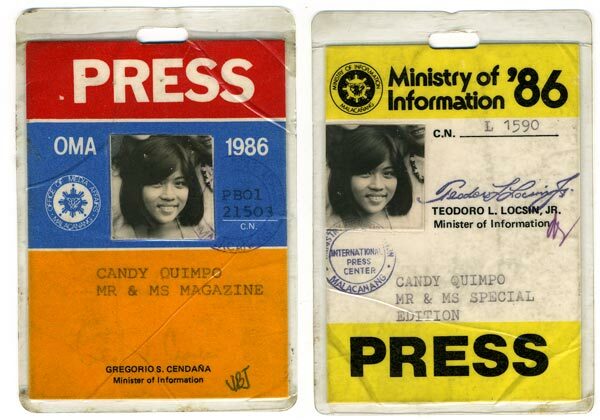 There were people standing around outside the gates carrying plastic bags full of food - they had heard about it on the radio and rushed out to bring food to the rebels (so typically Filipino to think of food before safety). In the chaos, I remember stumbling upon the British journalist who had joined me in chasing the ballot-box-snatching goons. He was fast asleep on a bench (to this day, my other half has the ability to sleep through a revolution). My memory of the revolution hops and skips in tantalizing fragments. 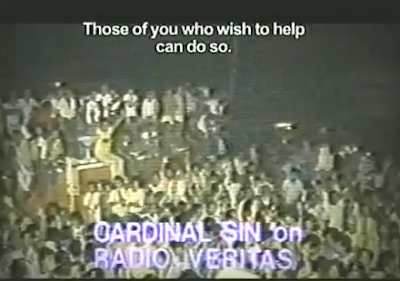 Jaime Cardinal Sin, Archbishop of Manila, issued a statement calling on all Filipinos to go to the Camp and show their solidarity with the rebels. Immediately the crowds swelled to tens of thousands. 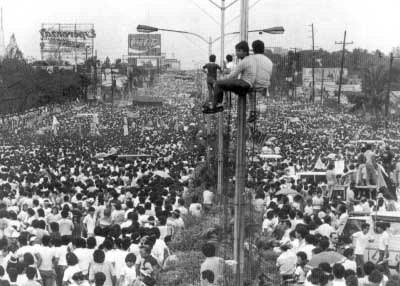 Barricades were built of any material to hand - benches, furniture, hollow blocks, logs, sandbags - all along EDSA, the ten-lane thoroughfare outside the camp. 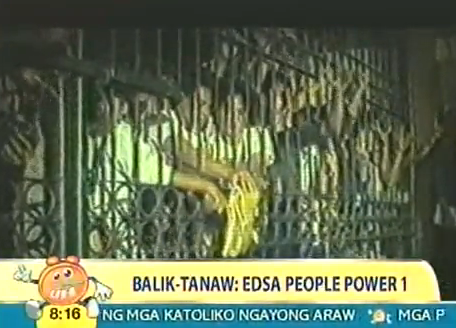 People of all persuasions massed outside the camp to 'protect' the rebels from Marcos troops. Soon a three kilometre stretch was packed tight with people. When military helicopters arrived, people thought the jig was up. But the helicopters signalled the beginning of mass defections in the military to the rebel side. At one point, I managed to hook up with my friend Mandy Navasero. We heard Marcos had ordered tanks to attack via one of the main roads and somehow managed to get there, pushing through massive crowds that had built up crowds so that Mandy could take photos. Screenshot of the tank pushing moment from YouTube. LVT-5 tanks that rolled in were immediately surrounded by crowds. I remember the soldiers poking their heads out and yelling at us to get out of the way. The tanks kept gunning their engines like they were going to push ahead at any moment. It was terrifying and I moved away from the path of the tanks. But Mandy was right in the front line of the crowd up against the tank. There's a famous photo of that moment, a crowd pushing against a tank and in the middle, a fair skinned woman pushing and sobbing at the same time. That's Mandy. I am known for lugging a huge camera along wherever I go. But I spent the entire three days of the revolution carrying an empty camera. I remember running from shop to shop searching for film (remember film?). But all the shops were closed. I begged photographers for spare rolls. "Are you crazy?" one photographer said. "There's a revolution going on. I can't afford to run out of film." It was hard to tell exactly what was going on during those three days. All I knew was that more and more people were turning up in the streets. On the ground, I was hungry and confused, rushing after one rumour after another. Every now and then I'd be caught up in a large group of people, joining in song, raising fists to the air. Linking arms with strangers to show that we stood together against Marcos. Helping pass bags of food along to people who have been keeping vigil for hours. There was a fiesta atmosphere - food, streamers, lots of singing, lots of praying. I've kept this magazine for posterity. Not so much because of the revolution but because there in the foreground is the rest of my life. 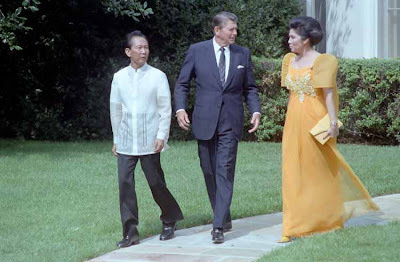 I recently found out that this photo is by Franz Tinio Lopez . When news came that Marcos had been airlifted to Hawaii, the city went mad, an explosion of mass happiness. It felt so good. For once, the Philippines was on top - no longer the under-achiever amongst tigers. I know exactly what the Egyptians are feeling. That feeling that ANYTHING IS POSSIBLE NOW. Also that feeling of helpless apprehension - what next? Can we do it? 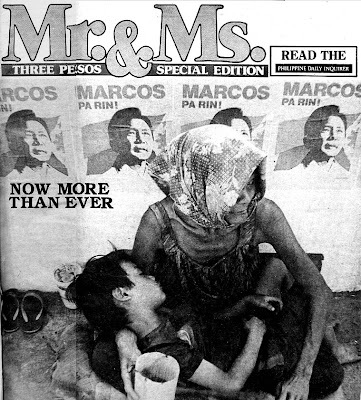 26 years on - we all know it wasn't happily ever after for us Filipinos. There were six coup attempts against the government that took over. Corruption, bad luck and mismanagement conspired to shred an already shredded economy. And the flight of manpower and talent that began under the Marcos regime continues unabated. I wish of course that we made more of our moment. The road is still long for us Filipinos ... but 1986 shows that we have got what it takes. CELEBRATE - you've done it! Know that the road ahead is uncertain - but hold this moment close. If you can do this, THINK OF WHAT ELSE YOU CAN ACHIEVE. Something we Filipinos would do well to remember. We celebrate our People Power this month. It's the 25th anniversary. 25 years! I hope that though we are still struggling, the rest of the world is learning from our problems. We are a hopeful nation, but a forgetful one too. That's the first mistake. oh and btw ... message to unnamed hubby - happy valentine's day! Candy. So wonderful. Thanks for sharing. 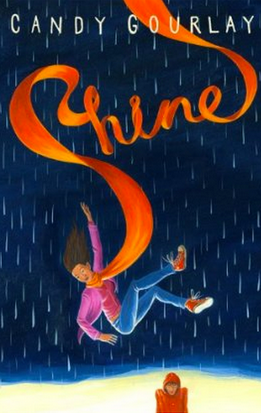 Your post actually made me cry this morning: so inspiring! But salt water does not mix well with porridge: I shall defer your blog till after breakfast in future. it does sound like an adventure - but it's funny how i can't remember the detail - how did we go to the bathroom? it was lucky that we didn't get one of those big monsoon rains - the crowds would've been washed away. and i neglected to mention that as i watched mandy pushing against the tank, i was ashamed of my own cowardice. i was very afraid. it could easily have been a tiananmen square massacre. indeed, tiananmen square happened later that year. Thank you for sharing this. 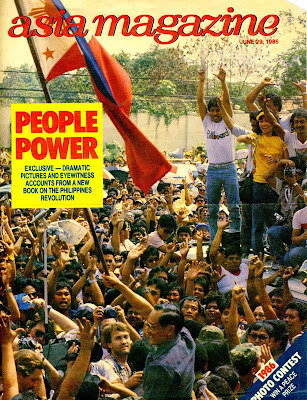 I remember the revolution in the Philippines from afar, but like the Egyptian situation, we'll hear a lot while it is going on, but very little about the ensuing chaos and rebuilding. It was exciting and sad to read about your memories. By the way, I finished Tall Story on the flight from Newark to Hamburg, Germany, and am planning a review in the next day or so. I enjoyed it very much. @Ben Thanks for reading Tall Story! 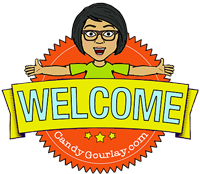 I look forward to reading what you think! Sorry, it's somehow taken me two weeks to get around to reading this - I kept waiting until I had enough time to properly take it in, because I knew it would be a brilliant post! And a love story too (sigh). You need to start selling the film rights for this, but make sure they have your character in the front, pushing the tank! It's not often that we get the chance to make history - well done for being a positive part of something big! Thanks Nick! Mind you, the terrible events currently going on in Libya just goes to show that it could have gone either way. Nice to hear first hand story of the EDSA Rev from a familiar name, Quimpo of the First Quarter Storm. I thought the left was just watching. You were there as a journalist, not as an activist? Anyway, it's destiny, your destiny to meet your other half in that historic event. Hi Phelee, ah, you are referring to the braver side of the family, my Quimpo cousins who fought and died against the Marcos regime, as recorded in their terrific book Subversive Lives.